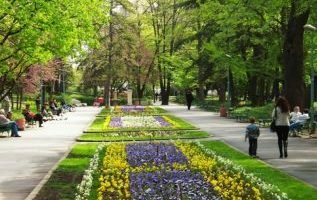 Plovdiv is a very green city with its numerous parks and gardens. The citizens of Plovdiv have the great chance to have Maritza River which is crossing the city. They also have 7 hills, and the highest hill – Djendem Tepe is a natural landmark.